Below you can view all the homes for sale in the Whitley Mills subdivision located in Fort Mill South Carolina. 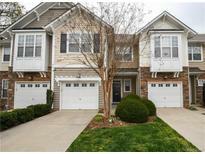 Listings in Whitley Mills are updated daily from data we receive from the Charlotte multiple listing service. To learn more about any of these homes or to receive custom notifications when a new property is listed for sale in Whitley Mills, give us a call at 704-310-5463. Let's not forget about the cozy screened in porch that offers plenty of privacy and a stone patio to spend nights grilling on! Too many features to list! MLS#3486808. Coldwell Banker Residential Brokerage. Convenient to I-77 & shopping. Home Warranty included. Community pool! MLS#3487396. Allen Tate Fort Mill. You will not be disappointed in this fantastic townhome! MLS#3482023. Bliss Real Estate LLC. All appliances convey with an acceptable offer! MLS#3483178. Keller Williams Fort Mill.